The women are gorgeous, the whole country's stunning, and the healthcare's free. But have you ever heard a word about Swedish beer? No. No, you have not. That's why the good folks at Brooklyn Brewery (in partnership with Carlsberg) are building an 8,000-barrel operation in Stockholm, to teach the locals about our favorite perennials. Plans for the BB takeover include indoor and outdoor seating areas for optimal beer consumption, and plenty of room for food vendors. Why Sweden, you wonder? The nation's totally obsessed with Brooklyn -- some Stockholm residents even refer to their city as "the new Brooklyn". It's also, apparently, BB’s largest export market, and second biggest market overall -- right behind New York City. 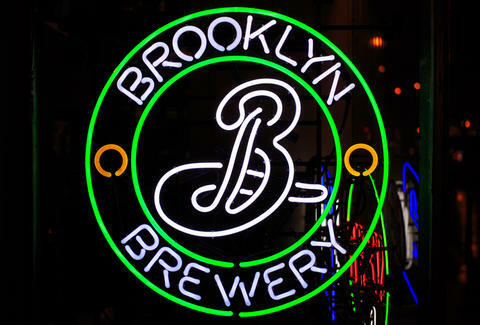 But the brewery's relationship with Sweden isn't just beginning; BB staged a BROOKLYN, SWEDEN music festival last year, dispatching 15 bands from the borough to Stockholm and Malmö. Travel content, dear reader, with the knowledge that there's now yet another destination you can visit without having to endure sub-par foreign suds.